Extra comfort and practicality to breath-taking performance. 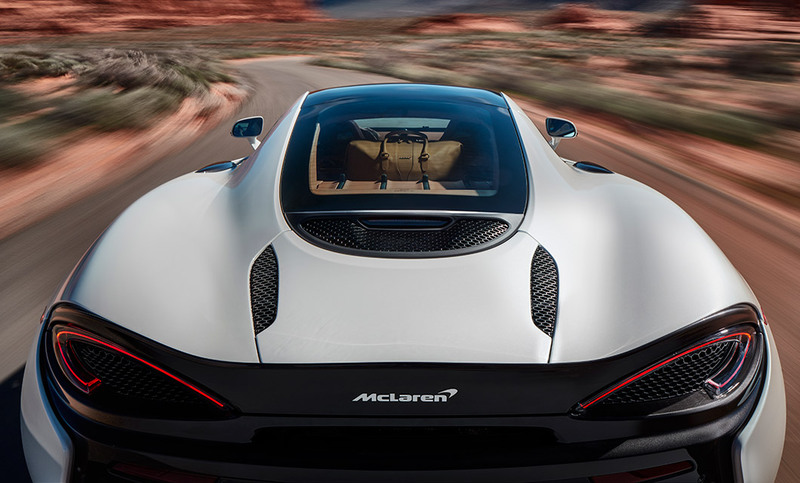 Experience the McLaren 570GT. For the Journey. The McLaren 570GT aligns comfort and practicality with breath-taking performance creating an exhilarating experience on track and road. 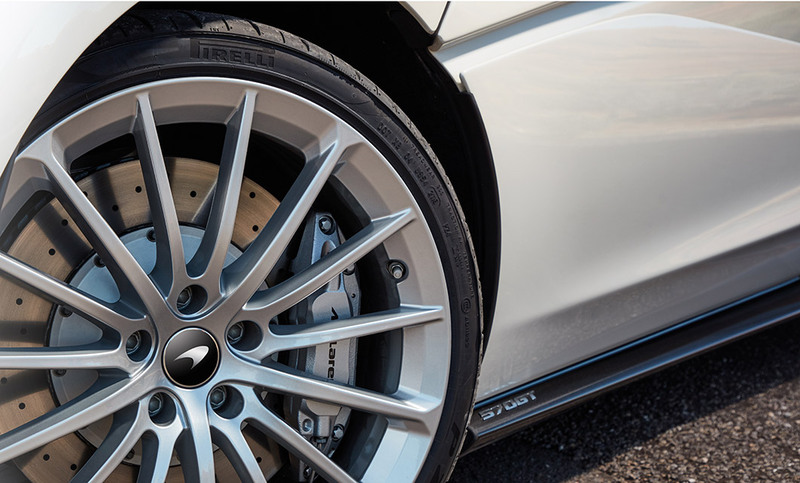 The teams at McLaren Birmingham and McLaren Bristol are dedicated to provide you with the very best experience throughout your McLaren journey, whether you have previously purchased a new McLaren or it’s your first. 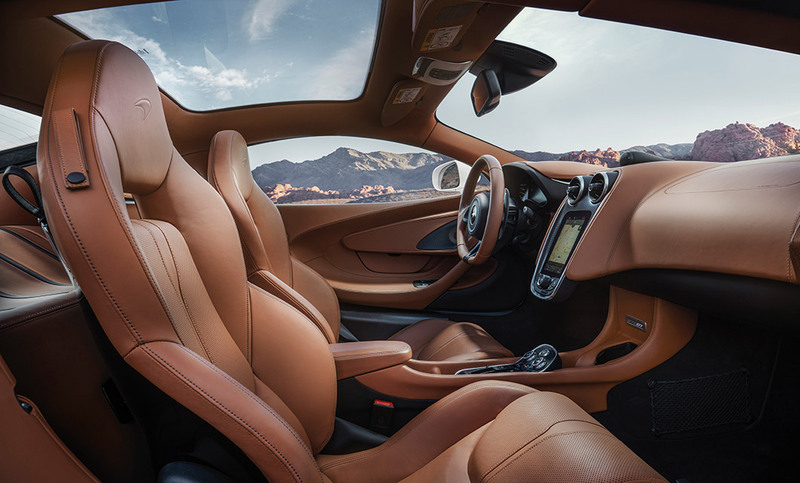 The McLaren 570GT has been optimised for the road, with a striking glass hatch design and leather trimmed-touring deck allowing 220 litres of additional storage space. The sense of light and space is apparent the moment you enter the car as the solar reflective panoramic glass roof allows light to flood in around you and the beautifully crafted interior. Aerodynamics have been designed with performance in mind from the functional contoured nose, slightly raised roofline and higher lip of the rear spoiler ensuring functionality is combined with the signature curved aesthetics. From the second it stirs into life, the 570GT’s twin turbo 3.8-litre V8 engine sends tingles down your spine. Incorporating the lates race-derived technologies the mid-mounted unit produces 562bhp and 600Nm of torque. The combination of so much power and a class-leading low dry weight of just 1,350kg delivers truly exhilarating performance. Capable of accelerating from 0-62mph in just 3.4 seconds, the 570GT can sprint to a top speed of 204mph; a figure normally reserved for only the most exotic supercars. McLaren Special Operations (MSO) offers the ultimate ability to build a one-of-a-kind vehicle to match your exacting requirements. There are limitless possibilities, from subtle changes to completely new body styles. A recent example of MSO commissions is the limited edition 570GT MSO Black Collection, featuring a newly developed MSO Carbon Black Paint, Tinted Panoramic Roof, Gloss Black Wheels and an MSO Defined Titanium SuperSports Exhaust with Nano Black Exhaust Finisher. Below are the technical specifications for the New McLaren 570GT. Interested in a New McLaren 570GT?